Wessex Garage Doors - Garage Doors based in Brighton Road, Surrey. Wessex Garage Doors is proud to be operating since 1989 and even prouder to have become one of the largest garage door companies in the South East of England. As a family run company, we are dedicated to ensuring every member of our team is highly trained and, of course, are fully employed by us with no contracting out - this helps us to maintain exceptional standards of workmanship and service. Wessex Garage Doors are able to offer free honest written quotations for new or replacement garage doors and a professional installation, spares and repair service. 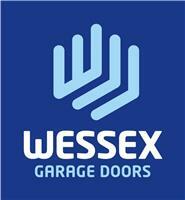 Visit our website www.wessexgaragedoors.co.uk or our well stocked showroom in Banstead, Surrey.